Tancheon Sports Complex is technically the collective name for the group of sports facilities located in the city of Seongnam, but is often used to refer to Tancheon Stadium itself. 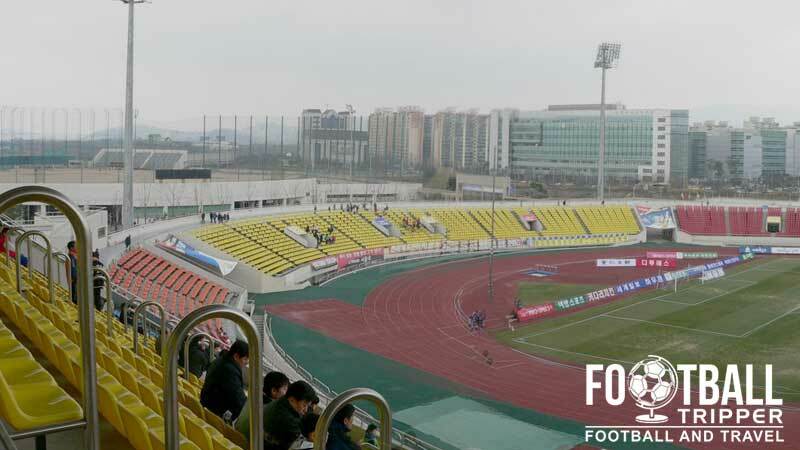 Built in 2002 to coincide with the World Cup, it is now home to local side Seongnam FC who play in the K-League classic. 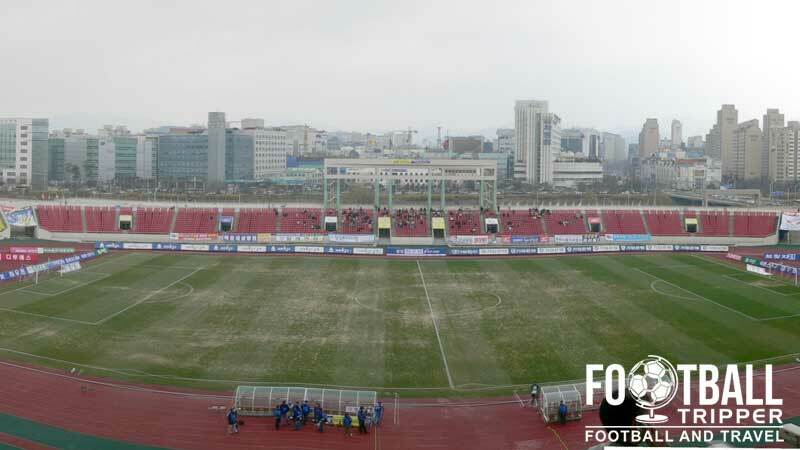 Tancheon Stadium opened on 1st April 2002 after a lengthy construction period of five years which dated back to August 1997. Costing an estimated 112.1 billion Korean Won, Tancheon Sports Complex is designed to be a complete set of sporting facilities and consists of a baseball field, a swimming pool, tennis courts and a gym. Despite what the completion date might imply, the stadium was built independently of South Korea’s bid to co-host the 2002 World Cup with Japan, and in fact hosted no football matches of the tournament. 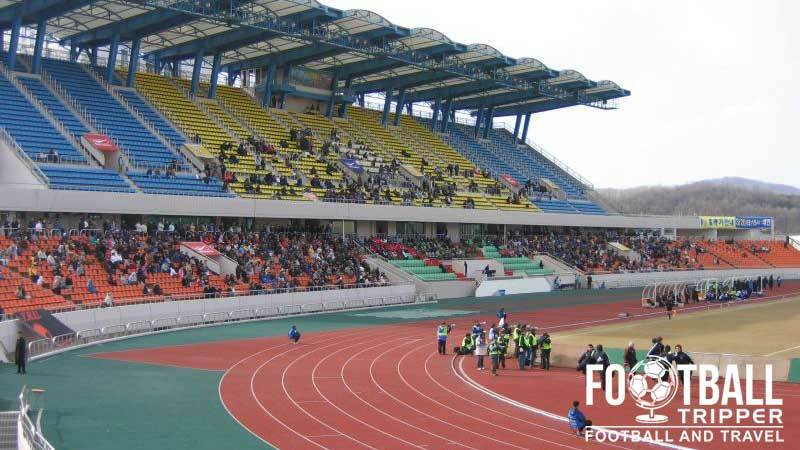 With the smallest Korean stadium of the World Cup capable of seating 40,407, the 16,250 capacity wouldn’t have been large enough to satisfy FIFA’s requirements. 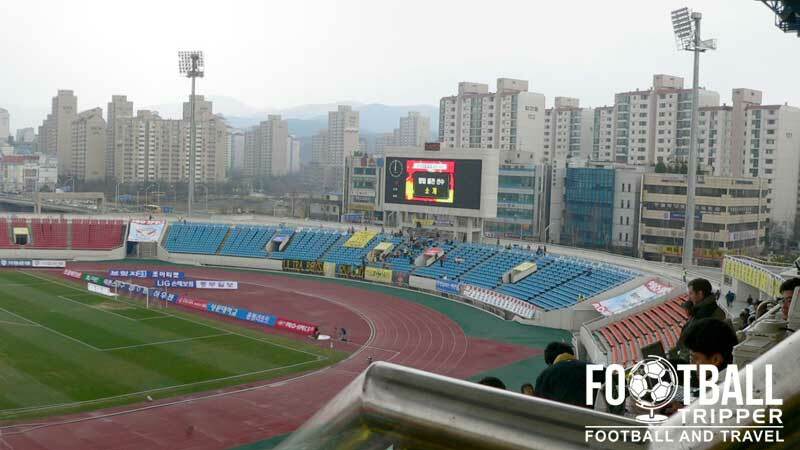 The stadium and facilities were collectively known as Seongnam 2 Sports Complex upon opening, however to distinguish it from the city’s other facilities it was renamed to Tancheon in 2006. Tancheon is the name of the nearby river which sits adjacent to the stadium’s eastern stand. Since opening the multi-purpose stadium has been home to Seongnam FC who are one of the most historically successfully football clubs in South Korea having won numerous Championships and trophies to date. Tancheon Stadium has often hosted numerous high-profile matches since opening including the club’s successful Champions League campaign in 2010. Seongnam defeated Zob Ahan F.C in the final on 13th November at National Olympic Stadium Tokyo after qualifying from a group which contained Beijing Guoan, Kawasaki Frontale, and Melbourne Victory. Tancheon Sports Stadium consists of the following four stands: North, East, South and West.